Because Walk 5 in Malmsbury was very quick and easy, I then drove on to the next town of Kyneton to tick off another walk. 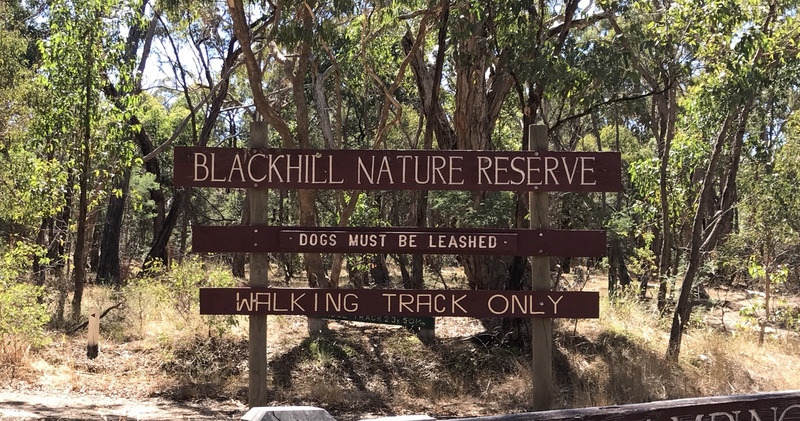 This walk was about 5k out of Kyneton, in the Black Hill Nature Reserve. 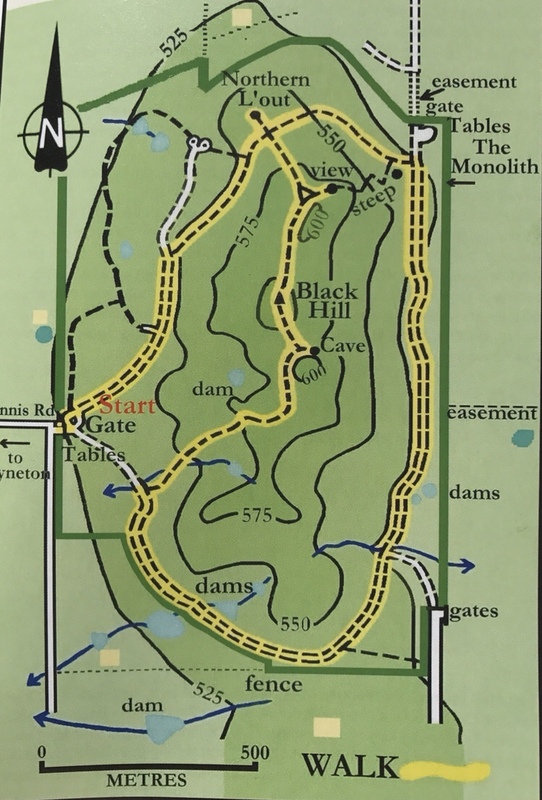 The walk was a combination of three marked walks – The Circuit Track, The Ridge Track and the Revegetated Area Track. An easy walk, with no steps and only very gentle inclines. I did have to step over a couple of large trees that had fallen across the track. More strenuous, with many steps and some inclines. But still an easy walk. This is the easiest of all, a very gentle short and flat walk. 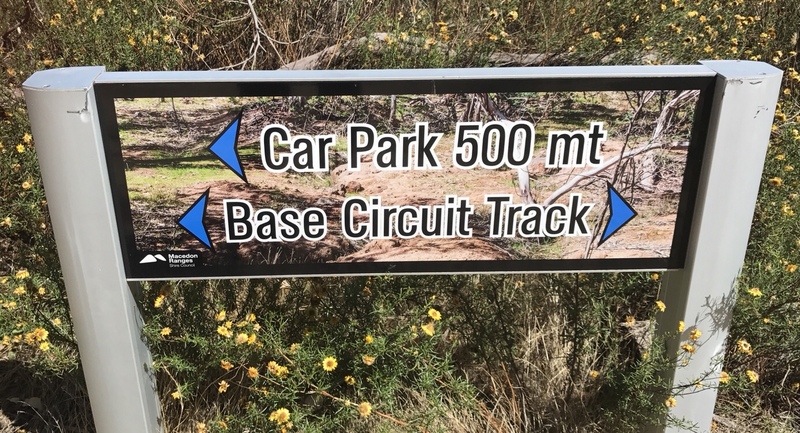 All walks are circuit walks and very easy to follow, with clearly defined tracks and large signs. 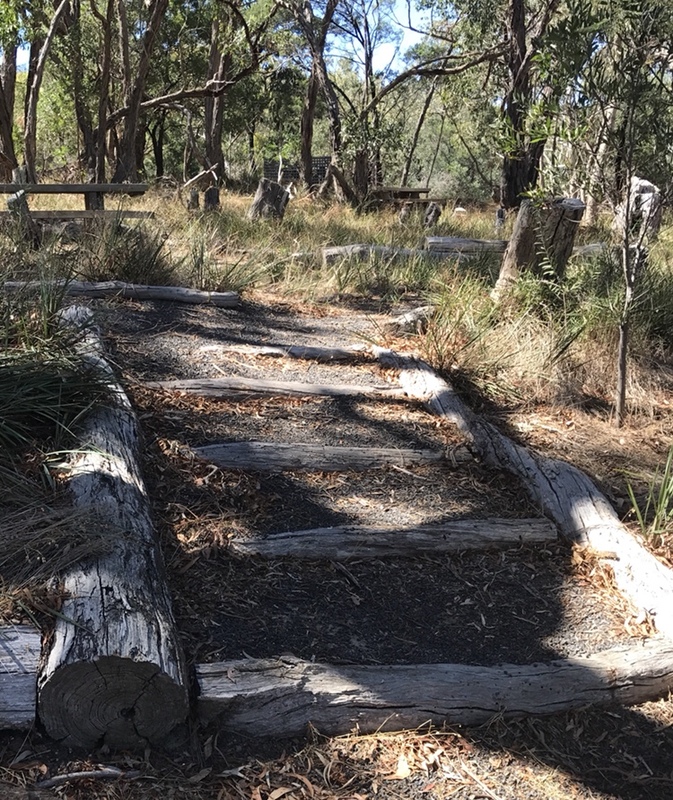 We have had a very dry and hot summer in Central Victoria, so the forest was extremely dry and crackling under foot. 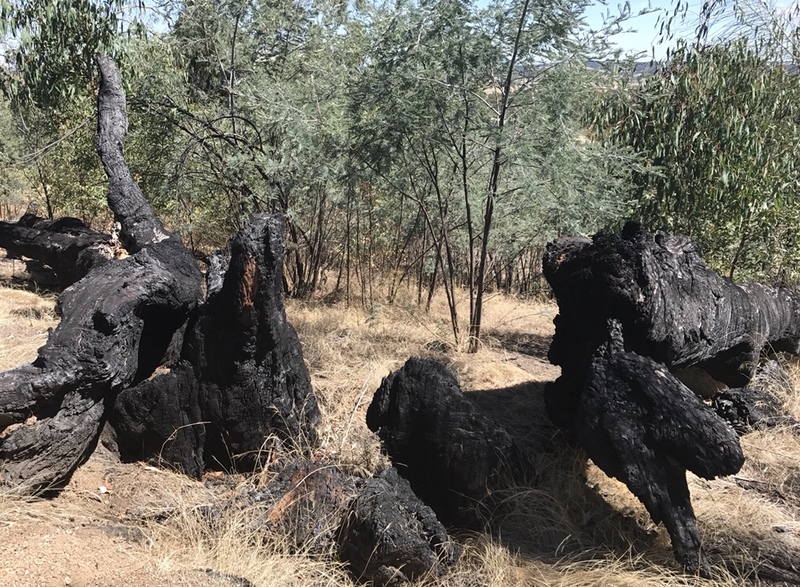 There was evidence of bushfire, which was caused by lightning strike in 2015, causing a devastating bushfire that took over most of the reserve. Many fallen trees and blackened tree trunks can be seen, however, there are many signs of regeneration and regrowth. This was another easy and enjoyable walk. I plan to go back there and do it again in the spring, as it is quite close to home.